Large site for Irish singles looking to meet others for dating and chat online. 100% free online dating & social networking site for Irish singles, and those interested in Ireland, Irish music, Irish art and/or Irish culture. 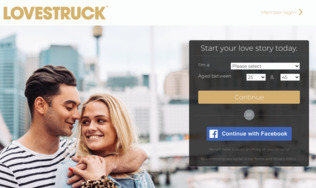 Online Irish Dating is designed to make it easy to connect with Irish singles looking for love and romance, whether in your local area, or in Ireland. If that is what you are looking for, then this might be the site for you. Dating service for single professionals in Dublin, Ireland, offering contact via an online system or via a mobile device. While the site is fully available for free members, they also offer an 'elite' membership which provides additional benefits to paying members. 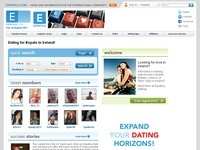 If you are looking for other expats in Ireland, this is the dating site for you! Find love among other international singles who have chosen Ireland as the place they want to live. Now, aside from the joy of living in Dublin, Belfast, Limerick or elsewhere in Ireland...hopefully you can find love there too. 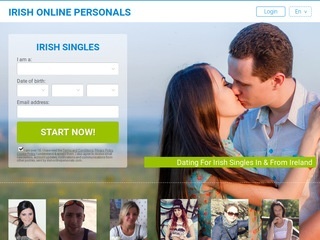 100% free dating site for Ireland, where Irish singles can meet online...for free. Singles Meet Online - Ireland Singles & More! Over 100,000 members from over 150 countries including Ireland. Enjoy private chat with other members online. Entire site is available in French or English. "Free For Women". Looking for friends (or romance) Internationally? Check out International Cupid for a chance at meeting your special someone! Sign up and view member's profiles. Search for fun, interesting members all over the world, but also, if you would like, you can focus on members in Ireland! "AnotherFriend.com, Ireland's largest & best dating website. If you want to meet a new friend for fun, friendship, travelling, an e-mail pal, or love & romance, then look no further. As they say, there's someone for everyone, and you'll find them at AnotherFriend.com."